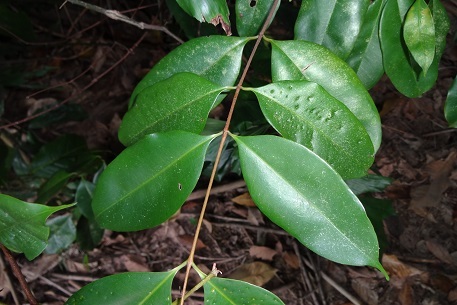 Syzygium lineatum looks very similar to Syzygium zeylanicum. 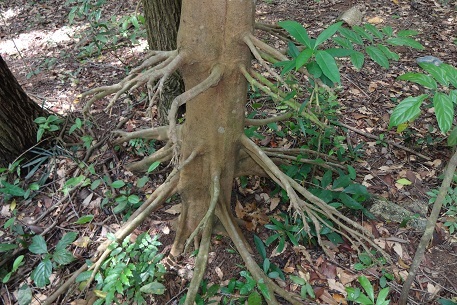 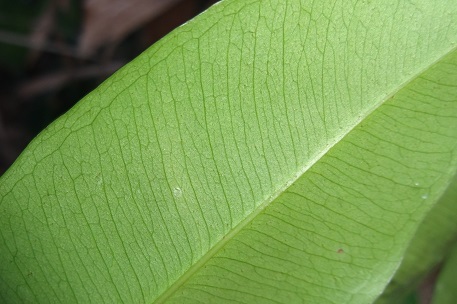 Two features that differentiate the two are the leaves and the stem / trunk. 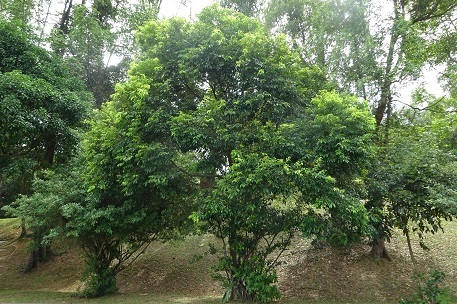 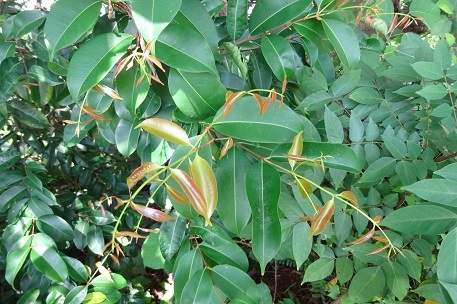 The leaves of both trees look similar from the top, glossy and shiny. 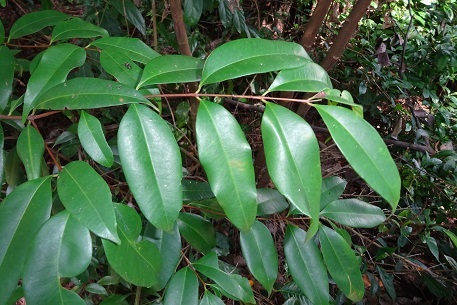 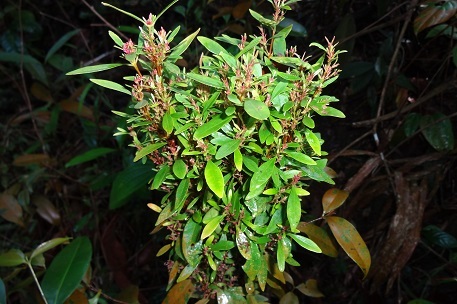 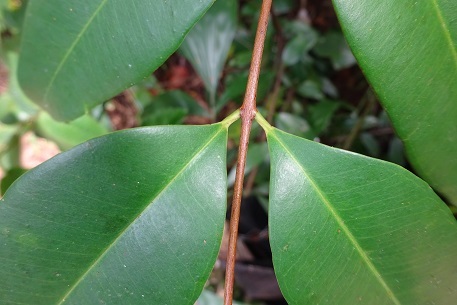 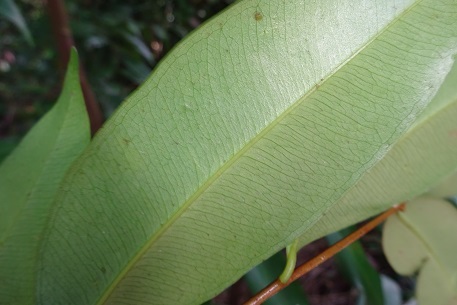 However, the underside of the leaves make the distinction; Syzygium lineatum has very closely lined up veins while those of Syzygium zeylanicum have wider gaps among them. 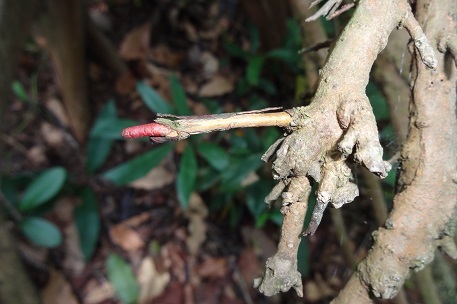 As for the stem, Syzygium zeylanicum has a peeling trunk especially obvious on young trees while Syzygium lineatum has prominent stilt roots that protrude out from the main trunk especially in matured trees. 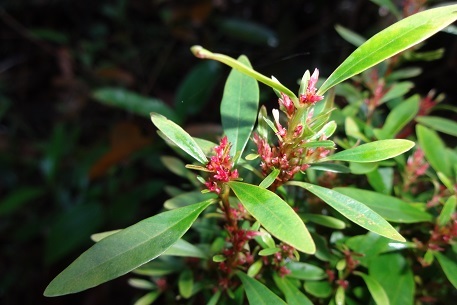 This plant is frequently seen with clusters of miniature leaves known as witches' broom. 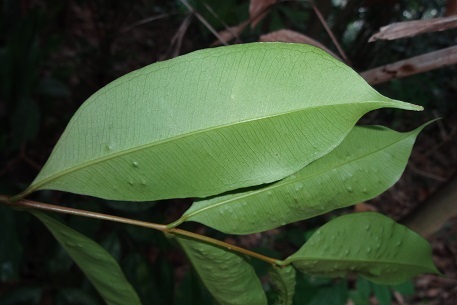 These are deformed shoot structure of the plant cause by various types of organisms or agents such as fungi, viruses, insects or mites.